Welcome to Boardman Nissan's financing and automotive loan site. While we might be known for an outstanding selection of new and used Nissan automobiles, Youngstown also realizes that Boardman Nissan is the best choice when it comes to helping you own one of these great cars. Interested in learning even more about how we can help you get your hands on the credit you need to make your car buying dreams come true? Then join us as we lay out how the trusted Boardman Nissan finance team is prepared and able to take care of everything from new car financing to bad credit financing on your behalf. 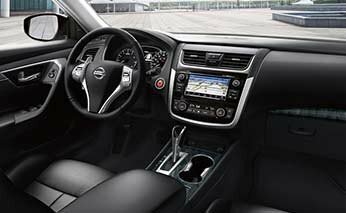 After covering all of the info here, we are sure you will be ready to start the process of driving home in the Nissan vehicle that jumps out at you. If you are interested in learning more about what we have to offer, it is a smart idea to go over exactly why financing with Boardman Nissan is always the best decision you can make. The main point to bring up is that no other team of so-called "financial experts" can bring to you the kind of service and support available here at Boardman Nissan. Strong Connections with the Best Lenders — Working hand-in-hand with leading institutions from coast to coast means you can choose from a plethora of choices as you uncover the appropriate loan. Willingness to Fight for the Right Financing Agreement for You — While it might not be easy to admit, working out the most consumer-friendly terms on your new car loan calls for an aggressive stance on the act of hammering out a deal. That being said, our team is prepared to negotiate for you and craft a financial pact that keeps you in control. A History of Success — With decades of automotive industry experience on our side, you can trust firmly in the notion that each and every member of our finance team has the tools needed to successfully lead you through this sometimes confusing and multi-faceted occurrence. When it is all said and done, there is no debating Boardman Nissan is the top option when it comes to getting you paired up with the vehicle you desire — and the appropriate car loan to go with it. Securing an auto loan without dropping a cent at signing is one of the myriad buyer benefits provided by Boardman Nissan via our auto loan team. Additionally, if you are appropriately qualified for this type of financing, you can also opt to make no payments for 30 to 60 days with this no-money-down approach to standard loan contracts. Of course, working your way into this kind of arrangement and paying nothing out of pocket for your new Nissan car requires some supplementary information from you. If you would like to get the ball rolling on this front, set aside a few minutes and reach out to connect with our staff of industry-leading auto loan professionals now at 330-726-5555. For many potential shoppers in Youngstown and Boardman, the threat of poor credit unfortunately clouds over the process of acquiring the best vehicle and inhibits this otherwise fun and exciting time. However, while other dealerships simply consider this number and base their decision exclusively upon it, we choose to review every little nugget of data in relation to your specific situation. By taking this different route, we have set a standard of trust and respect for customers with low credit that is unparalleled in Youngstown — and served countless customers as they work through this tough situation and find the best automobile for their specific daily schedule. 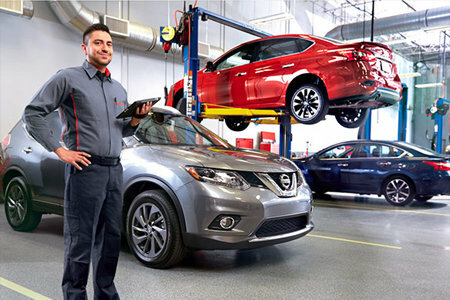 Additionally, each shopper has unique considerations and comes from their own unique situation, so it makes plenty of sense to talk to the loan and financing department here at Boardman Nissan by calling 330-726-5555 first before you adjust your full weekly agenda and sign off on an appointment. If you have come this far, you are definitely ready to start working through your options on financing a new or pre-owned Nissan from Boardman Nissan. With this realization leading the way, we would like to ask that you take a few minutes and fill out our easy and safe auto financing application. After accepting this information, our tireless credit and loan team will go ahead and begin compiling information regarding all of the auto loan offers that apply to you. From here, we will connect with you and give you some insight into how best to make the most of these exemplary pricing offers. We appreciate you stopping by Boardman Nissan, and we look forward to pairing you up with the best auto loan deals near Youngstown and its connected areas soon!